In the late 1960s, army and navy clothing was easy to buy and affordable. Its functionality and powerful image also appealed. This fact has been used on the 8-Eye Boot which has been wrapped in a British Camo pattern. 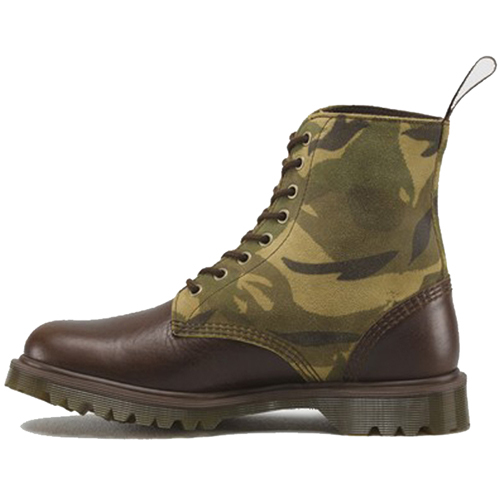 The Wilder mixes the Camo canvas with a rich, burnished leather for an interesting combination. The leather toes and heels add strength and the shoe sits on a rugged Ben outsole to reinforce the impression of military strength.